Welcome to the Faculty of Arts libraries! 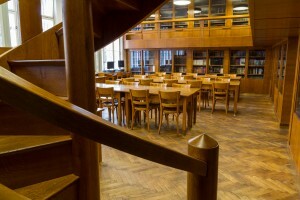 At the Faculty of Arts, the patrons (library users) are able to use one central library and a dozen of departmental libraries located in various buildings of the faculty: in Jan Palach Square 2, in Celetná 20, in the Špork Palace in Hybernská 3, and also in U Kříže 8 (Prague – Jinonice). Students of the faculty, members of staff, and external users are able to use these libraries and all the other libraries at Charles University for free. If the patrons wants to use other services apart from in-house loans available on shelves, they need to register. Registration made in one of the libraries is valid for all the FA libraries. The patrons use their ISIC pass or their Charles University student ID as their library pass. External users need to obtain the so-called “external user pass”. These are issued in the Charles University Issue Centers (see https://www.cuni.cz/UKEN-135.html). The external user pass costs 180 CZK. In order to use the services of the libraries, the patrons must, during their first visit in a library with automatic borrowing system, fill in and sign a paper application. By their signature, they confirm that they have acquainted themselves with the Borrowing Rules of FA Libraries and that they accept the conditions. It is necessary to inform one of the faculty or university libraries about changes in personal and contact details, especially about changes of e-mail addresses. If the patron loses the library pass, it is necessary to obtain a new one and to notify the library about the lost pass (the libraries can block the user’s account in such cases). Reserved books can be collected in five working days, starting with the day when the reservation announcement was sent by e-mail. If a library has external store rooms, the patron must request the document in the library (in person, by phone, in selected libraries also online). Such documents are usually distributed on the next day (in some cases, however, it may take up to a week). The patron is notified by e-mail that the document is ready to be collected. The patron is allowed to borrow only one copy of each document. The patron must immediately inform the library when a loan gets lost or is stolen, the replacement method is settled individually. The library sends the patron a notification about the upcoming end of the borrowing term to the e-mail address mentioned in the application, approximately two or three days before the end of the borrowing term. If the patron has a loan whose borrowing term has expired, it is not allowed to get more loans. When the borrowing term expires, the patron receives three e-mail notifications. Afterwards, a written notification follows, the so-called “pre-lawsuit alert”. After this alert, all patron’s rights in all Charles University libraries are blocked. Loans may be returned only in that library when they were borrowed, or via biblioboxes. Biblioboxes are located in the main building of the Faculty of Arts (basement), in Celetná 20 (3rd floor), and in the Špork Palace in Hybernská (ground floor). When using a bibliobox, kindly make sure that you deposit in it only the books you borrowed from libraries in that particular building. It is not possible to return in-house loans, study loans, and grant loans via bibliobox. Delay fee: 3 CZK per day (ordinary loans), 50 CZK per day (in-house loans). The borrowing rules are based on the so called Dean’s Decree and Rector’s Measurement which defines the categories of users, rules for borrowing documents, loan terms, and fees for overdue loans. These rules are called “Uniform Borrowing Matrix” and can be accessed here in English. 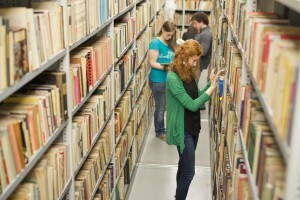 Charles University Discovery Service searches, in a single interface, almost all electronic resources of Charles University and all printed documents located in Charles University libraries. This link leads you to Charles University Central Catalogue which allows you to search in all libraries of the university. Please note that you can switch the catalogue into English by clicking on the small flag in the top left corner. 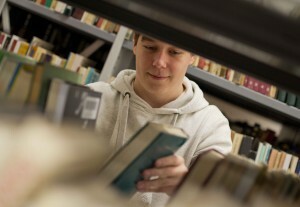 It is possible to limit the search to a particular faculty or library. The catalogue allows search according to title, author, key words, etc. From the list of search results, choose the document you are interested in and then selected a library where you want to borrow it (from the list of libraries under the heading “Items”). The location code will help you to find the book on the shelf. 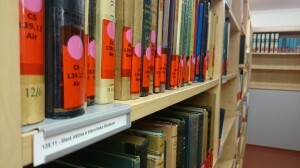 In some libraries, taking note of the “Collection” name or code is also important. When the record says “On Shelf”, it means that the book is present in the library and ready to be borrowed. If you see “Due Date”, it means that someone else has the book and should return it on the given date. You can log into you user’s account through the link “Login CU User” in the Central Catalogue. This account allows you to check your loans and to renew them, or to reserve books. This link leads you to the list of all databases, electronic journals, and e-books which are available to patrons at the Faculty of Arts. It is possible to switch the website into English by clicking on the flag in the column on the left-hand side. Some resources are available to all Charles University students, some of them are limited to a particular faculty, and some recourses are paid for by departments and are open only to the students of their programmes. 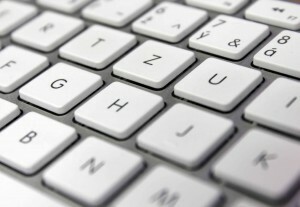 You can access all e-resources from the faculty computers and also by means of remote access (by signing in with your CAS user name and password – the same you use for the Student Information system).